Guarding our community 24/7, City of Hart Fire and Police public safety services are always ready to help when you need them. IN AN EMERGENCY, PHONE 911. For a Non-Emergency, Phone (231)869-5858 to Reach the Officer On Duty. Pictured here are City of Hart Police Sergeant Kevin Skipski and Police Chief Juan Salazar. 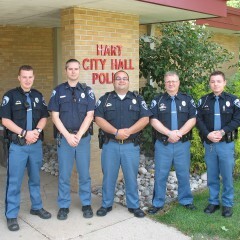 Officer Brian Hintz, Officer Shawn Anderson, Chief Juan Salazar, Sgt. 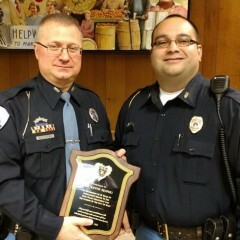 Kevin Skipski, Officer Joe Ingalls. T.E.A.M. 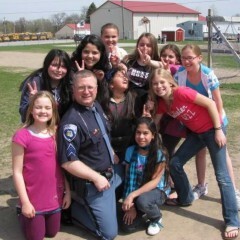 is a school-based law related education program taught by specially trained officers. Unlawful and youthful risk taking behavior is addressed in this program, with lessons on the law and consequences that commonly affect students. Sgt. Kevin Skipski is responsible for the Hart T.E.A.M. Chapter. 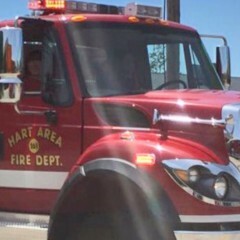 Visit the Hart Fire Department Facebook Page.